It looks like we were only partially correct in our news that Brammo would be returning to the Isle of Man TT, as the brand’s sister company, Victory Motorcycles, will in fact be racing an electric entry — one that looks like a rebadged Brammo Empulse RR — in the TT Zero event at the historic road race. 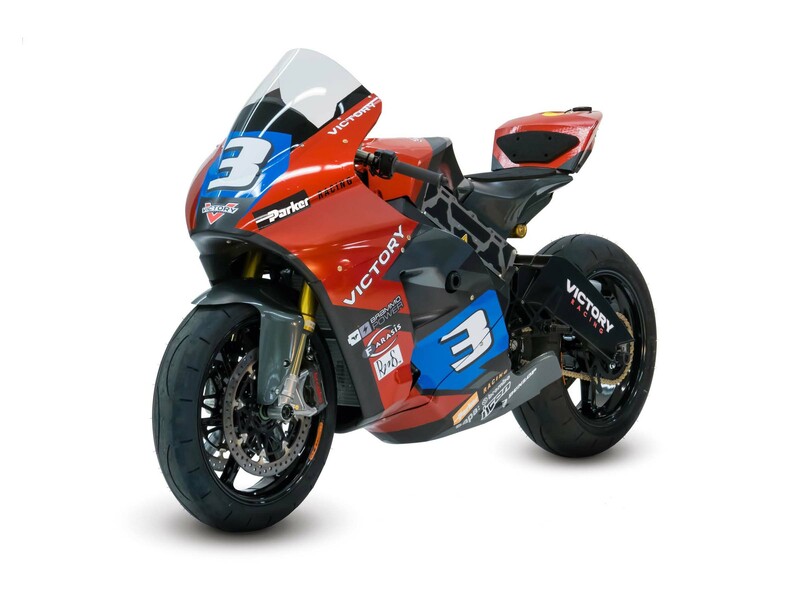 According to its press release, Victory Motorcycles will field a two-rider team, comprised of William Dunlop and Lee Johnston (a photo of “General Lee” testing a Brammo superbike is what initially sparked this news). 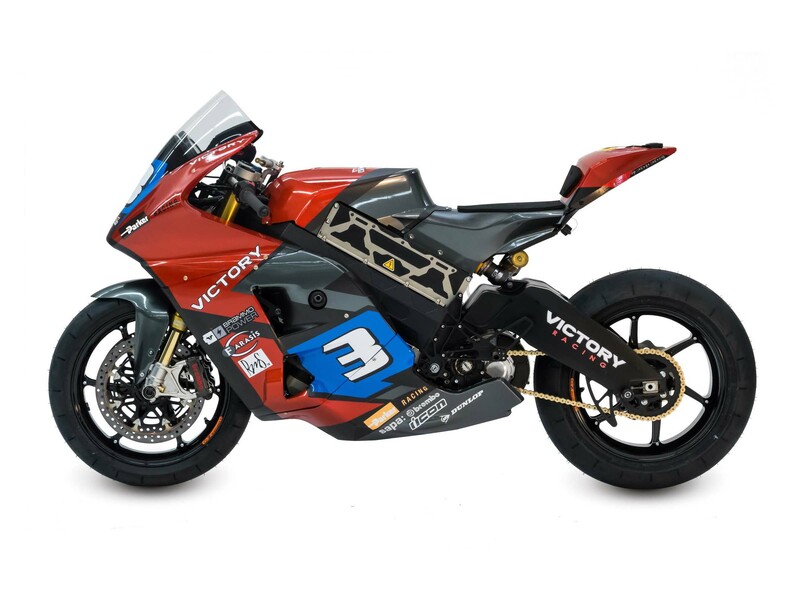 While Victory is calling its racing platform a “Victory electric race prototype motorcycle” the chassis and fairings give way to a shape we recognize as the Brammo Empulse RR electric superbike. The question of course will be whether the Victory entries can give Team Mugen a run for their money, and thus rekindle some competition into the TT Zero race. The answer to that question will hinge on the development that the Brammo Empulse RR has received in its extended off-season. With Brammo now focusing on electric drivetrain R&D for Polaris, there is a good chance that the Empulse RR could surprise the boys at Mugen. Of course, Brammo’s extended hiatus from the Isle of Man will also serve as a detriment (track knowledge, on-course development, etc), and likely it will take a season or two before the American brand can compete with its Japanese-backed counterparts. Either way, it will be great to see some more entries on the starting line, and more teams pushing the boundaries of the sport.